New Zealand-born comedy writer and actor John Clarke has died suddenly at the age of 68. The Starting Ground workshop is heading back to Byron Bay and APRA AMCOS is inviting Aboriginal songwriters and musicians to attend. 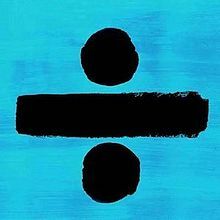 Ed Sheeran creates another new chart record this week with his No.1 song "Shape of You", as it now holds for a record-breaking thirteenth week at No.1, now the longest stint at the top of the ARIA Singles Chart for this century, and the equal-longest during the ARIA Chart history (1983 to 2017). 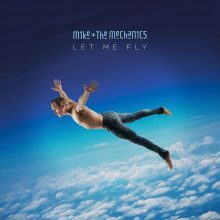 Those in the know were treated to a rarity on Sunday afternoon when Midnight Oil played their first show since 2009 at the Marrickville Bowling Club in Sydney. Pipsy is a project by Melbourne-based artist and producer Paul Pouwels. Michelle Branch is finally making her music comeback after a long break from the business. Rapper Kanye West has released a collection of gold jewellery his wife Kim Kardashian has been wearing on red carpets for months. 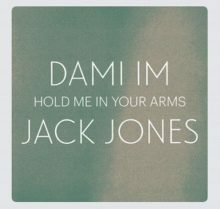 Former Southern Sons frontman Jack Jones has done something he hasn’t done for a long, long time … sung a Southern Sons song. The ABC’s iconic Elsternwick studio, home to Countdown, Recovery and more recently The Weekly and Mad As Hell has been sold to Woolworths. Queens of the Stone Age will play additional Australian and New Zealand shows when they head out for Splendour In The Grass. Irish singer Lisa Hannigan will play a series of national dates when she heads to Australia for Vivid Live in May. 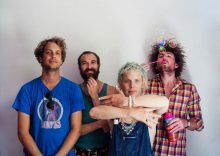 Melbourne is once again proving to be Australia’s creative hub with Husky achieving musical excellence on their third album ‘Punchbuzz’. 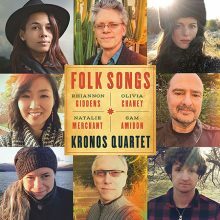 Natalie Merchant is one of the guest vocalists to appear on the upcoming Kronos Quartet album ‘Folk Songs’. Middle Kids have returned home to Australia after a visit to SXSW ready to premiere their new video ‘Old River’. 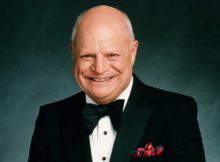 Don Rickles, also known as Mr. Warmth and The Merchant of Venom for his biting comedy, died on Thursday (April 6) morning at his home in Los Angeles from kidney failure. He was 90. Nate Dogg's son Naijiel Hale is facing life in prison after he was arrested on felony drug charges following a police sting. Australian rapper Iggy Azalea and her ex-fiance Nick Young have put the home they once shared on the market. Keith Urban was honored for his dedication to furthering music education at the Grammys on the Hill Awards on Wednesday (April 5). 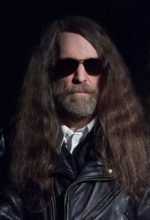 Paul O'Neill, the record producer who founded the Trans-Siberian Orchestra, died on Wednesday from a "chronic illness". He was 61. 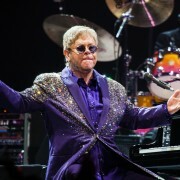 Veteran crooner Barry Manilow was moved to tears by the lyrics of Jay Z and Alicia Keys' Empire State of Mind as he covered the smash hit for his new album.